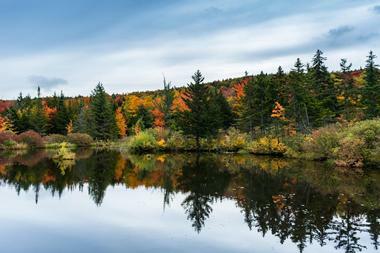 Visions of Vermont conjure tranquil forested mountains, lively ski resorts, and authentic maple syrup. Vermont is also home to Ben & Jerry’s ice cream factory, the Vermont Teddy Bear Factory, VINS Nature Center, ECHO Leahy Center, unique wedding venues, and historic sites like the Ethan Allen Homestead and Hildene preserve. 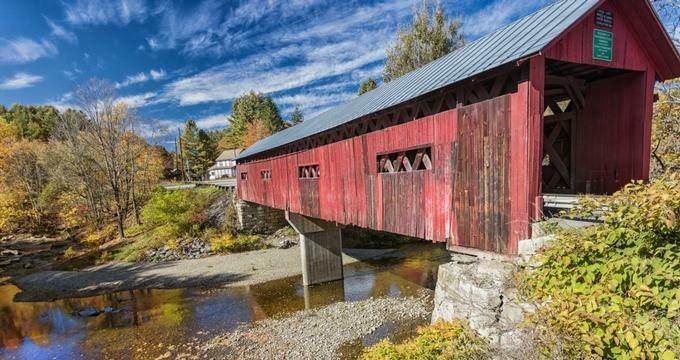 Here are the best things to do in Vermont. The Billings Farm and Museum, located in Woodstock, Vermont, is well known as one of the best outdoor history museums in the nation. This has largely to do with the combination of the fully operational Jersey dairy farm and the beautifully restored 19th-century (1890) farm house, which serves as a museum. Inside, visitors will enjoy comprehensive displays of artifacts, photographs, and oral histories illustrating the seasonal activities that forged the history and culture of pastoral Vermonters. Guests will also get the chance to engage with the award-winning draft horses, sheep, and Jersey dairy cows that are housed at the farm. Hildene is a stunning Georgian Revival mansion and the family home of President Lincoln’s descendants. His only son to survive into adulthood, Robert Todd, was the first owner of the estate designed by Boston architectural firm Shepley, Rutan, and Coolidge. It was occupied solely by Lincoln descendants until 1975. 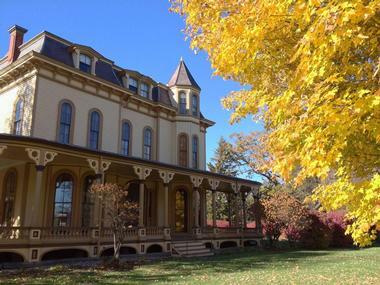 Now, visitors can enjoy self-guided or docent-led tours of the exceptional 400-acre grounds, which include the mansion and 13 historic buildings. Highlights included the formal garden, a 1903 Pullman car, an observatory, a solar-powered goat cheese and dairy-making facility, and a historic carriage barn. Guests will also appreciate the several walking trails around the grounds. Shelburne Farms is a 1,400-acre working farm, forest, and National Historic Landmark that serves as a campus for their nonprofit organization committed to providing education for a sustainable future. They provide learning opportunities for the youth to examine what is needed to create a sustainable society. In addition to their environmental education programs, visitors can explore the walking trails on the property all year round and visit the onsite inn. Guided property tours are available between May and October. 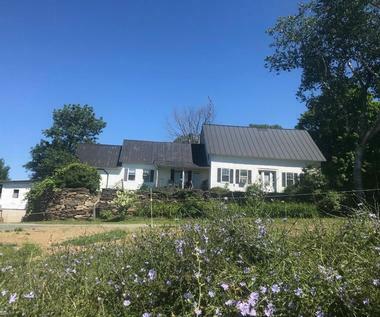 Guests can also visit the historical farm barn, which features a seasonal children’s farmyard, partake in cheese making, and dine at the Farm Cart for lunch. 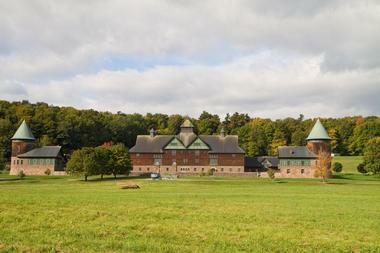 Shelburne Farms is one of the top Vermont attractions. 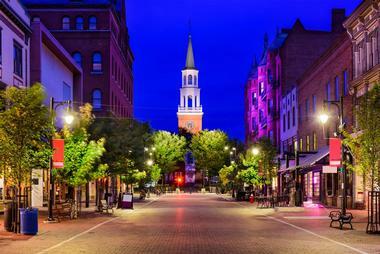 The Church Street Marketplace consists of four blocks of exceptional dining and shopping space in downtown Burlington. This award-winning, outdoor mall features more than one hundred places for visitors to dine and shop, hosts festivals all year round, and is constantly alive with activity from local music and street entertainers. The Shelburne Museum is an eccentric and charming landmark in the Champlain Valley of Vermont. 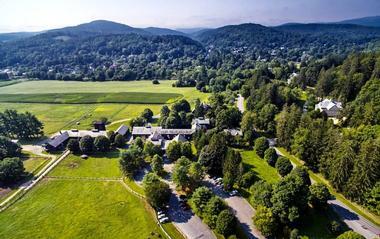 The exquisitely landscaped campus houses various historic buildings, including the Round Barn, Webb Gallery, Pizzagalli Center for Art and Education, and Electra Havemeyer Webb Memorial Building. 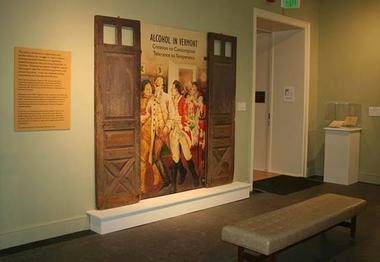 Each features unique exhibits on the art, history, and nature of Vermont. Visitors can enjoy everything from impressionist paintings and folk art to circus collections and an onsite steamboat. Guests can dine on flatbread pizzas and sandwiches at the museum café, and shop in the artisanal or museum stores. The gardens, circus displays, and steamboat are outdoor attractions. 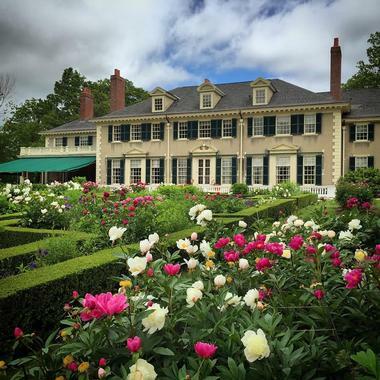 The Marsh-Billings-Rockefeller National Historical Park is a spectacular blend of three distinct places in Woodstock, Vermont, covering over 550 acres of stunning forest with a mansion that housed three conservation-focused families over more than 200 years. The Killington Ski Area comprises over 1,500 acres of skiable terrain and 73 miles of trails ranging from easy to most difficult; diverse terrain options exist for free skiers, snowboarders, quad riders, and snowmobilers. Killington also offers a variety of additional mountain adventures such as scenic gondola rides, sleigh rides, snowmobile and snowshoe tours, and a tubing park. During summer, visitors can experience high-flying fun with attractions such as the Skyeride – a 600-foot-long, 100-foot high, 30-mile-per-hour glider offering unbeatable views, and the Beast Mountain Coaster, a 4,800-foot-long alpine coaster that whips and winds through the woods, giving riders 360-degree corkscrew thrills. 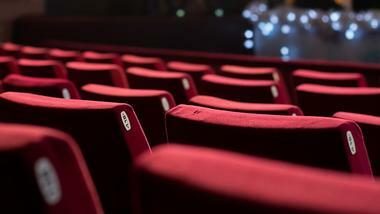 The Weston Playhouse Theatre Company offers visitors a premier theater experience in the quaint southern Vermont village of Weston, where they have been staging live theater since 1937. Visitors can catch performances on both the main stage and other stages at Walker Farm. West Town Eatery provides a fine dining experience for those who fancy enjoying dinner and a show. The restaurant is located below the cabaret theater. Theater-goers can also opt for cabaret and cocktails with desserts and savory snacks if they don’t want dinner. Visitors can expect a new Center for the Arts and expanded programs as the theater grows. 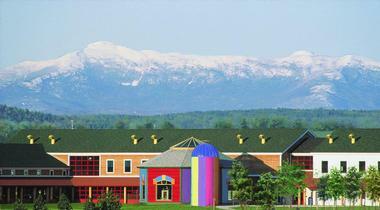 The Vermont Institute of Natural Science Nature Center is a 47-acre campus that supports environmental education, research, and avian rehabilitation in Quechee, Vermont. It neighbors Quechee State Park, and has more than 15 top-of-the-line rapture enclosures, two classrooms, four spaces for exhibits, and just under a mile of informative nature trails. Visitors can sign up for animal encounter classes from birds to Cold Blooded Critters, featuring a turtle, a snake, and an amphibian. 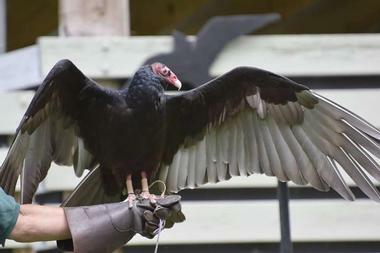 There are onsite exhibits like Ice Age Mammals on the Meadow, a place to romp and play at Nature’s Playground, and opportunities to watch certain animals feed or receive rehabilitation, among other activities. Stowe Mountain Resort offers many outdoor activities all year round, thanks in large part to Mount Mansfield, which provides the resort with a compilation of unique trails. During the winter months, guests can enjoy skiing or snowboarding over 40 miles of variable terrain on 115 trails that stretch across 480 acres. The President Calvin Coolidge State Historic Site is located in Plymouth Notch, Vermont, where the 30th President of the United States was born and raised. To this day, the village remains very much unchanged with Coolidge’s family home, his neighbors’ homes, a one-room-schoolhouse, the community church, a cheese factory, and the general store all beautifully restored – many with their original furnishings. Visitors can explore each of these historic buildings, learning about the history through interpretive exhibits. Guests can also tour the two Plymouth Notch walking trails; the East Meadow Nature Trial is about one mile long, and the Old Cellar Hole Walking Trail approximately half a mile long. The Montshire Museum of Science is a unique hands-on museum situated on over 100 acres of land near the Connecticut River in Norwich, Vermont. 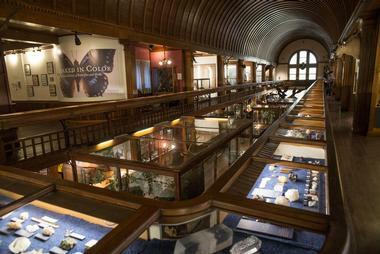 The property displays more than 140 exhibits associated with the physical and natural sciences, technology, and ecology. The outdoor ambiance of the museum plays a hefty role in the overall experience, with features like Bird’s-Eye View, a treetop viewing platform, and Blood Brooke Loop, a half-mile trail running along the lagoon. Guests will enjoy several interactive experiences, from learning about native plants and the environment to astronomy. Permanent and traveling exhibits cover everything from sounds and hearing to the Dinosaur Revolution. The innovative museum is also known for having the most comprehensive research library in the region for biographical and genealogical resources on Vermont and New England families. As an added benefit, visitors can stroll the 235-foot landscaped George Aiken Wildflower Trail in Hadwen Woods adjacent to the museum. Ethan Allen is Burlington, VT’s hometown hero. The revolutionary hero and Green Mountain Boy played key roles in protecting Vermont homesteading rights and aiding the Continental Army. Vermont even celebrates Ethan Allen Day every June. At the homestead, visitors have a chance to see inside his snug former home, a nearly 200-year-old Cape Cod, and watch daily tasks demonstrated by staff. Guests will also learn about Allen’s ideas, from his philosophical writings to his land speculations. The homestead provides archaeological and historical gallery exhibits to explore and an onsite gift shop. Outdoor trails offer visitors the same experience Allen had while walking the tranquil farmland. 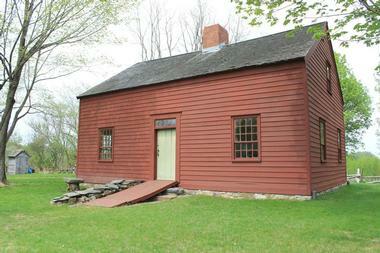 The significance of the Park-McCullough House is in its architectural and historical value. Built in 1864-65, it is a model of the New England Victorian Mansions. They were country homes built in the Second Empire style, which was an architectural style based on the popular architectural elements of the Imperial Bonapartist’s Second French Empire. The Park-McCullough House was passed down through the family until 1965, when it was donated to the Park-McCullough House Association. The house is open for hourly docent-led tours from May to October. Tours include the historic home and the beautifully landscaped gardens and grounds. Group bus tours are welcome. 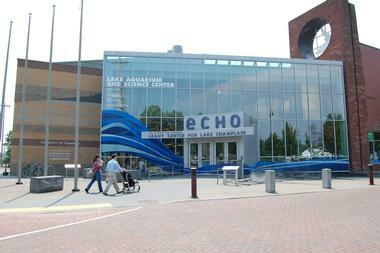 The ECHO Leahy Center for Lake Champlain is dedicated to educating the public about the ecology, culture, history, and opportunities (ECHO) of the Lake Champlain Basin environmental stewardship. They have the only National Geographic Experience films in Vermont, shown daily in their NSB Theater. The museum offers numerous exhibits and programs for visitors of all ages; they even have over-21 events, with their ECHO after Dark program. Campus highlights include the state-of-the-art LEED certified center, Lake Champlain Naval Memorial, and Rubenstein Lab Research Lounge. The Waterside Café serves breakfast and lunch, and Dealer.com Terrace provides a lakeside view for dining. There is also a gift shop. Vermont’s Fairbanks Museum and Planetarium offers visitors an extraordinary natural history museum focusing on northern New England’s Great Northern Forest, and the only public access planetarium in the state. There are more than 30,000 objects in both temporary and permanent museum displays. Items are of historical, natural, and ethnological significance. Exploration Station is an interactive local natural history display and includes a 60-inch diameter Omniglobe that helps visitors explore everything from political trends on Earth to our place in the solar system. The Naturalist’s Corner is where you can get your questions answered about items and occurrences from your natural environment. 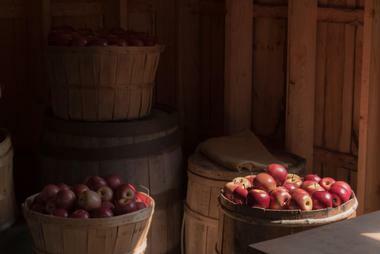 Located in the charming town of Waterbury Center, Vermont, Cold Hollow Cider Mill is one of the best known historic cider mills in New England. Visitors are invited to visit the processing plant and watch apples being turned into delicious ciders using the old-fashioned rack and cloth method. Attached to the mill is their large retail store selling not only their ciders, apples, and famous apple cider donuts but also maple syrup, fresh pastries, excellent sandwiches, wraps, and paninis. What goes better with hot sandwiches than one of 60 local craft beers and a whole range of hard ciders? 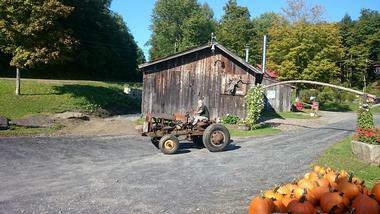 There are also sweets, toys, and Vermont crafts and souvenirs. Cider Hills Garden & Gallery sprung from the passions of owners Sarah and Gary Milek. They have created a haven to pursue those passions – gardening for her, painting for him – and share them with the public. Visitors can take self-guided tours through whimsical organic gardens and see Sarah’s specialties: peonies, daylilies, and hostas, as well as a range of herbs, perennials, and ground cover plants, all of which are for sale. The onsite art gallery displays the paintings of award-winning artist Gary Milek, many of which are inspired by plants and gardens on the property. The gardens are open May to November; the gallery is open all year round, but by appointment only December through April. The Morse family has a combined 200 years of maple syrup-making experience through eight generations at the Morse Farm Maple Sugarworks in Montpelier, Vermont. Visitors are welcome to explore the property all year round via guided motor coach or walking tours as well as self-guided tours. Guided tours begin in the woodshed theater, where colorful videos and live presentations give guests the history of Morse Farm Maple Sugarworks, and end with a delicious sweet treat. Visitors will also be able to walk along their nature trail, check out whimsical carved folklife figures created by Burr Morse, and explore the outdoor Vermont farm life museum and country store. Ben & Jerry’s ice cream is as famous as it is delicious. The local legend began in 1978 in a repurposed gas station with two friends who decided to make and sell ice cream. These days, visitors can tour their modern-day ice cream factory in Burlington, Vermont, and get the scoop on the brand’s evolution. No trip to Shelburne, Vermont, is complete without a stop at the Vermont Teddy Bear Factory. What started as a one-man operation handcrafting teddy bears in a garage in 1981 has become today’s in-demand teddy bear factory in a 60,000-foot facility on a 57-acre campus. Visitors can tour the factory and watch as artisans handcraft the bears at a rate of 150,000 per year. Tours are guided by Bear Ambassadors, who are fun and informative. Guests can also create their own bears, watch the Bear Doctor repair bears, and purchase teddy bears and related items in the factory Bear Shop. 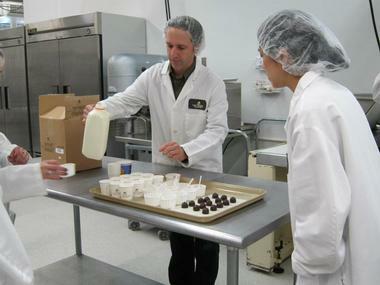 Lake Champlain Chocolates is a family-owned business that has been making chocolates and chocolate products since 1983. Since the next generation joined the business, they’ve expanded to creating chocolate from locally sourced ingredients, establishing fair trade partnerships with global cacao growers, and developing organic products. Thirty-minute chocolate factory tours with tastings are free and guided by Tour Ambassadors weekdays in the morning and early afternoon. Mid to late afternoon tours are self-guided. Chocolate tastings are available weekends with tasting guides, where guests can sample four chocolate profiles, but there are no factory tours. Chocolates are available for purchase in their three stores. 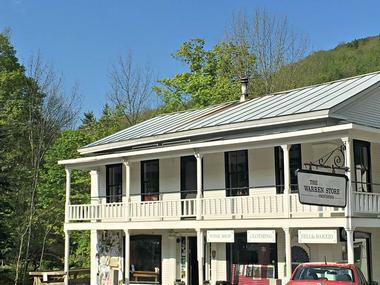 The Warren Store is an historic business in Warren that dates all the way back to the beginning of the 19th century, when it was used as a boarding house and stagecoach stop. Today, the facility has been transformed into a charming mom-and-pop-style bakery, deli, and general store, carrying its reputation as a major community center into the 21st century. Delicious bagels, breakfast burritos, and omelettes are served at its deli counter during the morning hours, while a wide variety of creative deli sandwiches are available later in the day. Grab-and-go dinners are also sold, along with scrumptious delicacies prepared by the Warren Store Bakery. A boutique area sells clothing, accessories, and home goods, while a beer and wine shop carries hard-to-find wines and Vermont craft beers. Scenic train rides with Green Mountain Railroad have somewhat unpredictable schedules, so it’s best to check their website for current schedules. Fall foliage and a variety of winter holiday themed rides are the most popular and the most regular. Train rides at other times of the year are limited to weekends and some holidays. Guests ride through the charming Vermont countryside and, depending on destination, last between 35 minutes to an hour. 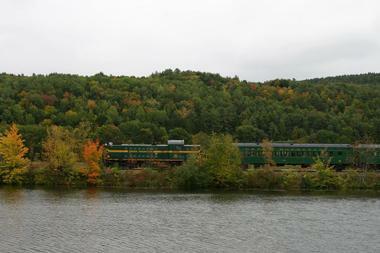 Dinner train rides are available during the fall. For other train rides, guests may bring their own food and snacks or purchase snacks and nonalcoholic drinks onboard. Purchases on the train are cash only. The Eshqua Bog Natural Area is 41 acres of cold-climate botanical beauty originating from Vermont’s 10,000-year-old post-glacial era. The preserve features both fen and bog plants that visitors can view from an accessible 460-foot boardwalk with benches and viewing platforms along the way. Tourists can expect to see bog and green orchids, showy and yellow lady’s slippers, pitcher plants, larches, Labrador tea, and a variety of other bog and fen plant species. The best time for viewing the colorful lady’s slippers is near the end of June. The natural area is also home to a variety of dragonfly species and a few mammals like deer and red squirrels. Appalachian Trail Adventures offers seasonal getaways from specialized all-inclusive vacations to simple day trips. Guests can customize their trips, combining activities and amenities to suit their needs, such as a hiking and spa vacation or a hiking and yoga vacation. Although hiking the Appalachian Trail is the greatest adventure of any trip, ATA also offers shopping, pool time, tennis, kayaking, and other activities. A full-service spa provides massages, reflexology, fitness training, nutrition education, and more. Visitors can also choose activities a la carte, full and half-day programs, and local excursions. Overnight accommodations are at the amenity-laden Summit Lodge in Killington.